In numerous places in Justification: God’s Plan and Paul’s Vision Bishop Wright claims that God’s righteousness is his covenant faithfulness. I deliberately stress the ‘is’. How is Wright taking it? One way would be to understand it as ‘God ‘s covenant faithfulness is (an expression of) his righteousness’. But it is clear that he means something much stronger: more like, ‘God’s righteousness is (nothing other than) his covenant faithfulness’. I think we need to pause for a moment or two on this claimed identity between righteousness and covenant faithfulness. It means, for one thing, that there is no other way that God could express his righteousness than by way of covenant faithfulness. Why? Because the one is the other. So in order to be righteous God must establish a covenant and be faithful to it. God cannot do other than he has in fact done. This would be seem to be, shall we say, rather restrictive? Where is God’s freedom in grace? In his wisdom, could he have seen fit not to establish a covenant? If so, would he nonetheless be righteous? In making a covenant (with Abraham, say) is God acting righteously? Strictly, not according to Bishop Wright. He is only acting righteously in keeping his covenant, in being faithful to it. Weird. For Wright seems to be implying that God’s making a covenant could be an act of whimsy, caprice, sheer arbitrariness, coin-tossing, or whatever, but that everything changes when it comes to keeping the covenant. Can that be right? These are points of logic, or conceptuality, I know. They are none the worse for that. But alongside them there are the exegetical remarks made powerfully by John Piper in Chapter 3 of The Future of Justification. Wright treats righteousness solely in terms of God’s actions. So according to Piper the sense of ‘righteousness’ is wider than that of covenant faithfulness, important though such faithfulness is. Yet it is not merely a question of some definition of righteousness not being adequate, of how we are to understand that righteousness. It is also, and more fundamentally, the question of the coherence of any account of divine righteousness that does not begin with who God is. Being, the being of God, must come first; acting is a consequence of being. This is true generally; glass is not fragile because it easily smashes, it easily smashes because it is fragile. Henry is not vain because he is always preening himself in front of the mirror, but his preening is an expression of his vain disposition. In God’s case, doing righteously follows from being righteous. Acting faithfully is a consequence of being faithful, of having a faithful character, or a character apt for being faithful. Wright’s account is not deep enough, in Piper’s estimate, because it does not start with the character of God, but with the actions of God. Piper’s identification of this failure in Wright is of considerable significance in his treatment of the Bishop’s view. But it is also more generally important in Christian theology. 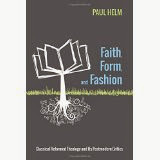 For various reasons it is at present hugely fashionable to think of theology in narrative form: in terms of covenant (Horton), speech-act theory and ‘theodrama’ (Vanhoozer), and of history (N.T. Wright), for example. More generally, it is vogish to think predominantly in the category of history, redemptive history, biblical history, ‘biblical theology’, and to downplay or abandon the categories of systematic theology. In Wright’s case this way of thinking is habitual because he is first and foremost a historian, and so first and foremost he thinks in terms of historical sequences, of sequences of action, human and divine, and of their significance. He is much less interested in the ‘creedal’ statements in Scripture. He has little feel for the doctrinal debates in the history of the Church, and he sticks as closely as he can to the very words of Scripture and to the use of any analogies and metaphors that throw light on these. Such an approach excludes any reference to the need for a covenant (a unilaterally established way of salvation from sin, a restoration) in the first place. It starts the theology too far down the line, too late. Does God’s righteousness have nothing to do with the need for a covenant? 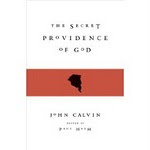 Wright says, ‘Dealing with sin, saving humans from it, giving them grace, forgiveness, justification, glorification – all this was the purpose of the single covenant from the beginning, now revealed in Jesus Christ.’ (74, author’s italics). Indeed, and well said. But why are such gifts necessary? But why is it necessary to deal with sin? What is sin? And is it plausible to suppose that righteous Noah (Gen. 7.1), or the hypothetical righteous men of Sodom for whom Abraham interceded (Gen. 18), were faithful to a covenant? To which covenant? Sure enough, God’s attitude to sin, his grace, the provision of forgiveness, the vindication of men and women by Christ – is part of what it means for God to be righteous. But this does not exhaust God’s righteousness, it (merely!) expresses it. God is faithful to the covenant of grace and redemption from sin that he has righteously established. It is for this reason that Piper thinks that Wright’s insistence that God’s righteousness is his covenant faithfulness is a ‘belittling’ of it, as Wright puts it (74). Rather, it must be filled out, by understanding God’s righteousness as an essential feature of his character. If anyone ‘belittles’ it is Wright, who reduces the righteousness of God to a set of God’s actions. But God acts (and must act) consistently with his nature. So the fundamental question is, what character does the God who does all this have? So how, exactly, are believers declared to be in the right? What is that declaration and its relation to justification? This is another way of asking that question : How can believers be declared in the right? What is the basis or foundation of such a declaration? (113-4). What are the grounds or reasons for reckoning righteous? Such questions are raised in one’s mind fairly early on in Wright’s exegetical survey of righteousness in Paul’s letters; in fact, raised a number of times. They come up when Wright repeatedly says: for Paul, believers are righteous, they are declared to be ‘in the right’. (133) But how is it that we have no reason to think that the court that issues such a declaration is not a kangeroo court? How can we be sure that the judge is not a crook, but someone to be relied upon? As initially presented, this idea of being declared in the right seems to be curiously hollow. As a consequence of Christ’s death and resurrection, (but never mind how), God declares believers to be in the right. But what makes the court righteous? And what makes its declaration righteous? Even when the Bishop does fill out ‘righteousness as connoting mercy and kindness, faithfulness and generosity’ (69) it is still a strikingly procedural understanding of imputation – Mercy in respect of what? Kindness on account of what? Wright makes clear, in a footnote, ( Ch. 7 fn. 7, 229) that he does not like the language (used by Piper, and hosts more, of course) of the ‘basis’ of justification. But eventually the need to talk in such ways becomes inescapable, as Wright takes us into the heart of Romans. They are forced upon us by what Paul says. God declares a person righteous by not counting their trespasses against them (138), which in turn prompts the question: what trespasses – how are they to understood? And in virtue of what is it about Christ that results in one’s trespasses not being counted? Does Paul have no answer to such questions? Given the naturalness of such questions it is not surprising that Wright himself provides an answer to the very questions that he thinks ought not to be asked: He says that Christ’s faithful death , ‘the representative and therefore substitutionary death’ is the foundation (180-1) of justification. ‘Foundation’ is obviously another word for ‘basis’, the word Wright uses twice in 113-4. So by this stage in his discussion it is evident that Wright has been able to overcome his reluctance to talk some of the traditional language, the language of what grounds or provides the basis for our justification – what was sometimes called – in language which no doubt Wright likes even less than ‘basis’ – the material cause of our justification. And what does Christ deliver, by his death and resurrection? – Wright’s answer is that the death and resurrection of Christ is the basis of the pardon of our sins, ‘overarching human sin’ (174). Christ deals with sin (74) in his death , making justification possible. (179) And he does so by being our representative or substitute. (181). For all the protestations to the contrary, then, the distance between Wright and the traditional view of justification is narrowed at a point like this, narrowed because once he recognises the need for an account of the basis of justification, then the concept of substitution is forced upon him by the argumentative structure of what St. Paul really said. So that’s the first point,. God’s righteousness is seen in his condemnation of sin.Wright’s account of Paul’s teaching regarding the basis or foundation of the ‘overarching’ problem of sin involves substitution. So God's righteousness cannot only be his covenant faithfulness. Further, Bishop Wright is also happy to use the language of imputation. Well, he does not quite use that word ‘impute’, but he uses the word ‘reckon.’ (Early on he chides J.I. Packer for writing that though Paul does not actually talk of ‘imputed righteousness’ he does talk about ‘reckoning righteousness’ which (Packer thinks, but Wright demurs) amounts to the same thing – the language of imputation is a good and necessary consequence, Packer might say, of Paul’s language of ‘reckoning’ and ‘counting as’. (29-30)) So how has God ‘dealt with our sin’? Answer: he has dealt with it by reckoning us to be ‘in the right’ in virtue of what our substitute has done. So, almost in spite of himself, Wright identifies three vital concepts which he sees in Paul – Christ’s death the ‘basis’ of justification; then substitution - Christ is substituted as the faithful Israelite; and the outcome - as a result God ‘reckons’ us to be ‘in the right’. So what now prevents him from subscribing to the imputation of Christ’s righteousness that is vital to the Reformed understanding of the atonement? I think that I know the answer! To try to show this, in the third post we shall take a look at Wright and righteousness.